UVB-2L Bitumen modification laboratory system - GlobeCore. Oil Purification Systems. The UVB-2-L bitumen modification laboratory system is designed for preparation of small samples (no more than 10 liters per batch) of modified bitumen. Modification laboratory system by GlobeCore. This product is designed for testing of known formulas of emulsions, primers and liquid rubber. It can also be used for the development of new materials and emulsifiers and the corresponding research and experiments. 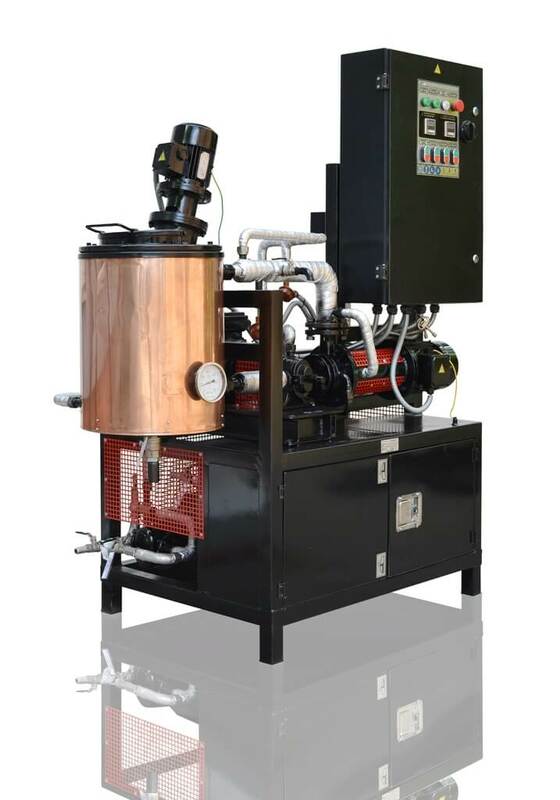 The unit can be used by petrochemical facilities for optimization of modified bitumen production process, determining the required amount of modifying additives and using the prepared bitumen as a laboratory sample. The UVB-2-L bitumen modification is designed for preparation of small samples (no more than 10 liters per batch) of modified bitumen. testing efficiency of various bitumen additives and optimization of bitumen binding material formulas.